The Official Secrets Act, 1923 - Sections 3 and 5 - The Right to Information Act, 2005 - Sections 8 (1) (a) and 8 (2) - The Indian Evidence Act, 1872 - Section 123 - Penalties for Spying - Wrongful Communication, etc., of Information - Exemption from disclosure of information - Evidence as to affairs of State - There is no provision in the Official Secrets Act and no such provision in any other statute has been brought to our notice by which Parliament has vested any power in the executive arm of the government either to restrain publication of documents marked as secret or from placing such documents before a Court of Law which may have been called upon to adjudicate a legal issue concerning the parties. The Indian Penal Code, 1860 - Sections 302 read with 34, 498A, 304­B read with 34 - The Dowry Prohibition Act, 1961 - Sections 3, 4 & 6 - the dying declaration involving the appellant came to be established and proved by the prosecution, by examining the doctor as well as the metropolitan magistrate who record the dying declaration. Despite the above overwhelming evidence in the form of medical evidence as well as the dying declaration and the deposition of the metropolitan magistrate, the learned trial Court discarded the same on some minor contradictions/omissions. It also appears from the judgment and order passed by the learned trial Court that the learned trial Court gave undue importance to the initial statement of the victim while giving the history to the doctor when she was admitted and when she gave the history of accidental burns while cooking in kitchen. However, the trial Court did not consider her explanation on the above gave in the dying declaration. Even considering the surrounding circumstances and the medical evidence and the other evidence, the defence has miserably failed and proved that it was an accidental burns/death. The appellant – original accused no.1 was last seen in the house and immediately on the occurrence of the incident he ran away. Thus, we are of the opinion that the approach of the trial Court was patently erroneous and the conclusions arrived at by it were wholly untenable. 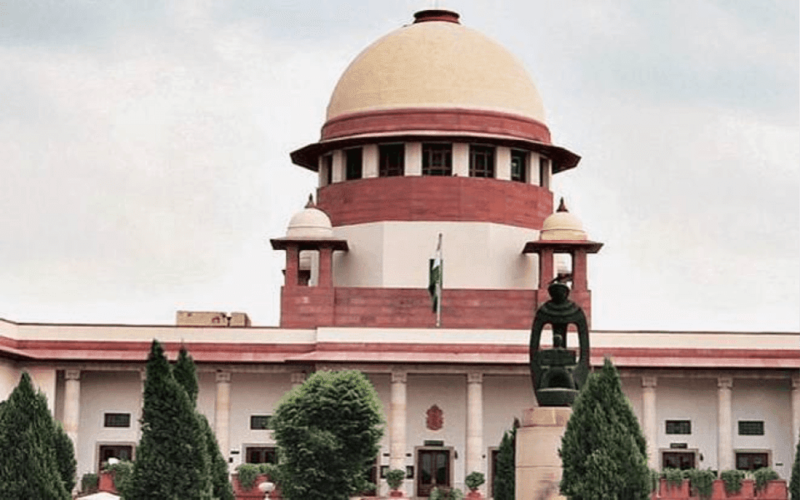 Whether solely on the ground that the High Court has not examined the reasons on which the order of acquittal was passed and convicted the accused by interfering with the order of acquittal passed by the learned trial Court, the same is further required to be interfered with by this Court ? Held:- Even in the case where the High Court in an appeal against the order of acquittal interfered with the order of acquittal without specifically considering the reasons arrived at by the learned trial court and without specifically observing that the reasons are perverse, this Court can still maintain the order of conviction passed by the High Court, if this Court is satisfied itself that the approach of the trial court in dealing with the evidence was patently illegal or the conclusions arrived at by it are demonstrably unsustainable and the judgment of the appellate court is free from those infirmities. It also emerges that the High Court is entitled to re­appreciate the entire evidence independently and come to its own conclusion, however, the High Court would not be justified in interfering with the order of acquittal solely on the ground on re­appreciation of the entire evidence that two views are possible. Criminal Trial - On re-­appreciation of the entire evidence on record and the findings recorded by the learned trial court while acquitting the accused, the approach of the trial court was patently erroneous and the conclusions arrived at by it were wholly untenable - It is not a case where two reasonable views on examination of the evidence are possible and so the one which supports the accused should be adopted - View taken by the trial court can hardly be said to be a view on proper consideration of evidence, much less a reasonable view - Trial court committed a patent error in discarding the dying declaration and the other material evidence - Therefore, the interference by the High Court in the appeal against the acquittal of the appellant and recording the finding of his conviction for the offence under Section 302 of the IPC, on consideration of the evidence, is justified - The judgment under appeal does not warrant any interference. The Indian Penal Code, 1860 - Section 302 of the IPC to Section 304 Part I - the accused used a deadly weapon­-axe on the vital part of the body­-head, which proved to be fatal. A single blow on the vital part of the body like head and that too by deadly weapon­axe and used with force which proved to be fatal, was sufficient to hold that it was a case of murder within the definition of Section 300 of the IPC. The Indian Penal Code, 1860 - Section 302 of the IPC to Section 304 Part I - Merely because the altercation might have taken place much earlier and not immediately prior to and/or at the time of commission of the offence, it cannot be inferred that there was no intention on the part of the accused to cause death of the deceased. The High Court has committed a grave error in altering the conviction from Section 302 of the IPC to section 304 Part I of the IPC and therefore the interference of this Court is warranted to obviate a complete failure of interest of justice. 9. Garware Wall Ropers Ltd. v. Coastal Marine Constructions Engineering Ltd. The Indian Stamp Act, 1899 - The Maharashtra Stamp Act, 1958 - Sections 33 and 34 - The Arbitration and Conciliation Act, 1996 - Sections 7, 8, 11, 16, 45 - The Arbitration and Conciliation (Amendment) Act, 2015 - The Indian Contract Act, 1872 - Sections 2(a), 2(b), 2(g) and 2(h) - Interpretation Clause - Arbitration Agreement - Power to refer parties to arbitration where there is an arbitration agreement - Appointment of Arbitrators - Competence of arbitral tribunal to rule on its jurisdiction - Power of judicial authority to refer parties to arbitration - Examination and impounding of instruments - Instruments not duly stamped inadmissible in evidence - When an arbitration clause is contained “in a contract”, it is significant that the agreement only becomes a contract if it is enforceable by law. We have seen how, under the Indian Stamp Act, an agreement does not become a contract, namely, that it is not enforceable in law, unless it is duly stamped. Therefore, even a plain reading of Section 11(6A), when read with Section 7(2) of the 1996 Act and Section 2(h) of the Contract Act, would make it clear that an arbitration clause in an agreement would not exist when it is not enforceable by law. One reasonable way of harmonising the provisions contained in Sections 33 and 34 of the Maharashtra Stamp Act, which is a general statute insofar as it relates to safeguarding revenue, and Section 11(13) of the 1996 Act, which applies specifically to speedy resolution of disputes by appointment of an arbitrator expeditiously, is by declaring that while proceeding with the Section 11 application, the High Court must impound the instrument which has not borne stamp duty and hand it over to the authority under the Maharashtra Stamp Act, who will then decide issues qua payment of stamp duty and penalty (if any) as expeditiously as possible, and preferably within a period of 45 days from the date on which the authority receives the instrument. As soon as stamp duty and penalty (if any) are paid on the instrument, any of the parties can bring the instrument to the notice of the High Court, which will then proceed to expeditiously hear and dispose of the Section 11 application. This will also ensure that once a Section 11 application is allowed and an arbitrator is appointed, the arbitrator can then proceed to decide the dispute within the time frame provided by Section 29A of the 1996 Act.